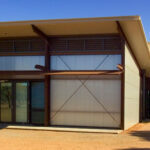 Designed in association with Susan Dugdale and Associates. 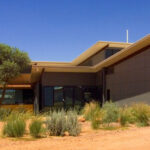 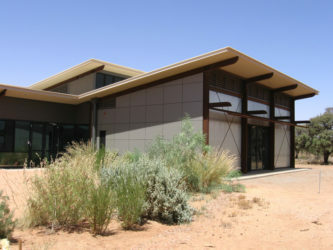 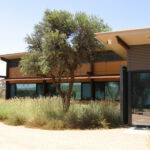 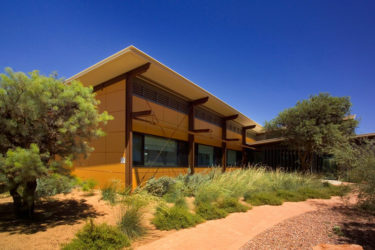 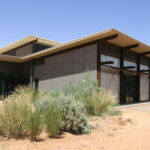 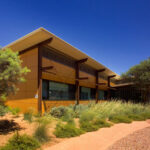 The Business and Innovation Centre in Alice Springs is a key facility in the Desert Knowledge Precinct that serves the function of developing business and initiatives based on desert knowledge; as a facility demonstrating key principals of energy efficient and environmentally sustainable design; and as a social hub for the precinct, emphasising the importance of informal communication in developing knowledge and ideas. 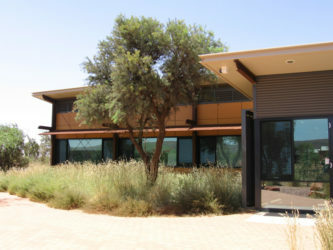 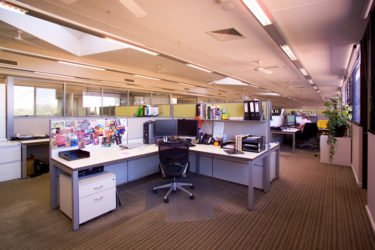 During the concept design stages the Environmentally Sustainable Design (ESD) consultant established energy consumption targets for the Business and Innovation Centre based on combined reference to the Australian Building Greenhouse Rating tool (ABGR), Property Council of Australia Energy Guidelines and the draft BCA regulations for Class 5-9 buildings and prevailing climate of Alice Springs. 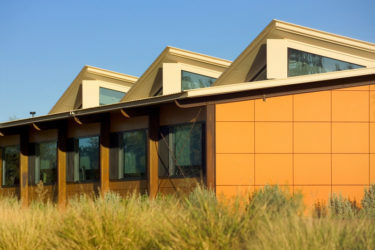 a design temperature of 26 degrees in summer, instead of the typical constant 22 degrees. 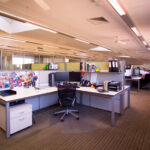 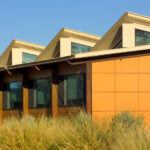 common facilities located in the centre of the building to be used for functions independently of the office areas.